This is another in a new series of releases celbrating the work of former Hawkwind vocalist-poet Robert (Bob) Calvert. This one is a fantastic mixing desk recording from the end of the Oct 1986 tour, from which a few other releases but none with as good a performance or quality have seen the light of day. A great sound and cool set list. The second CD is mostly the pre-tour demos that were recorded and an amazing version of the Hawkwind classic Robot from PXR5. 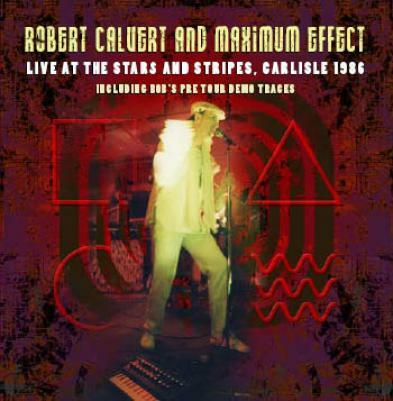 If you are a fan of Calvert’s material including his later era Hawkwind material, then this is a great double CD set at a decent price. Cool stuff.